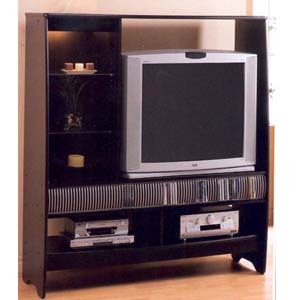 Black Finish Entertainment Center With Glass Door, Shelves And CD Rack. Fits In 36 HDTV. Easy To Assemble. Dimensions: 61-3/4W. X 60-3/4H. X 19-1/2D..